I'm trying to find out why old numbers, both handwritten, printed from a printing press, and typewritten, sometimes drop down and swing upwards. They show a bit of vertical offset. 1, 2, and 0 seem to be equal in height, while 3, 4, 5, 7, and 9 have their long part swing downwards. 6 and 8 swing upwards. It's not so in all cases, too. 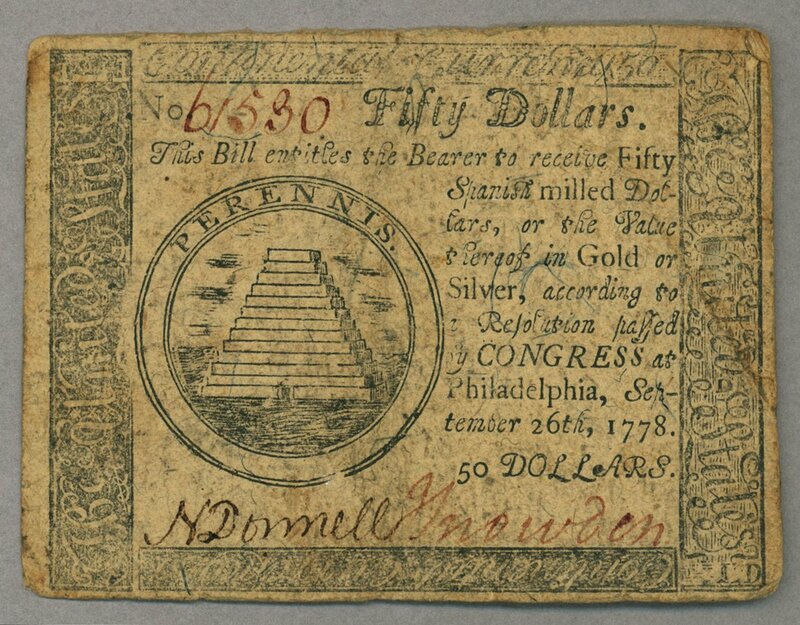 On the continental note attached, you can see handwritten "61530" in the top right that doesn't follow this, but the printed date, "September 26th, 1778", and "50 DOLLARS" does. 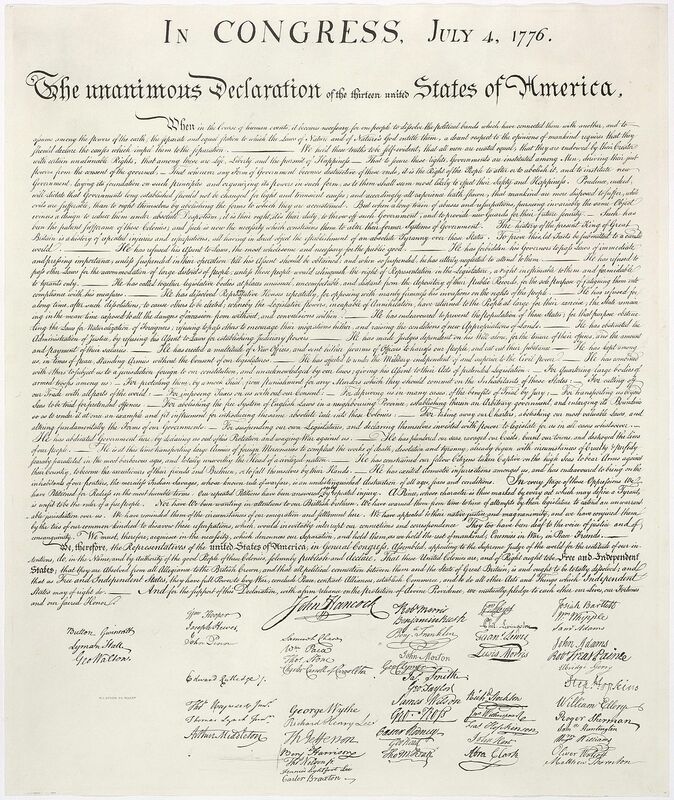 The Declaration of Independence has these oddly positioned numbers, too. The modern Georgia font uses numbers like this as well. 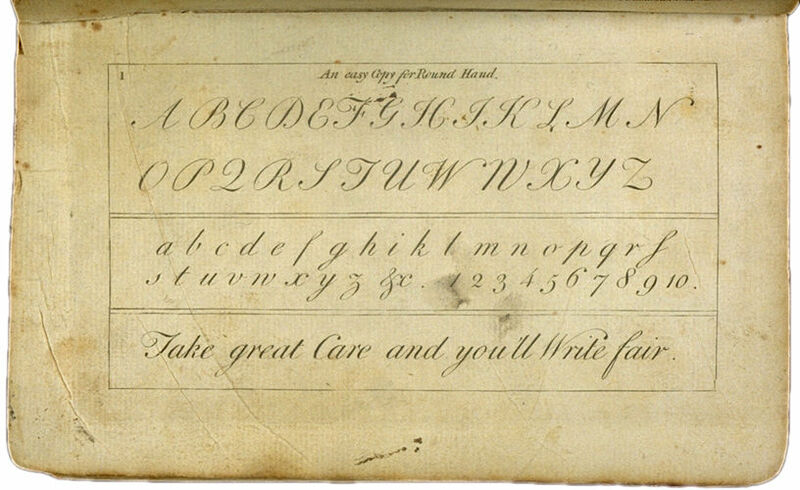 Do History.org shows an example from The American Young Man's Best Companion Containing Spelling, Reading, Writing, and Arithmetick by Fisher, George (1786). Here is a link to the pages it uses as a guide for how to read old printed typeface. Notice the page numbers. Unfortunately, this page doesn't go over why numbers are written vertically offset. I can't find much documentation or discussion about this at all, in fact, so I'm hoping somebody has some insight. This question came from our site for the craft of professional writing, including fiction, non-fiction, technical, scholarly, and commercial writing. Just as there are uppercase and lowercase letters, there are "uppercase" (or titling) and "lowercase" (or text) figures. Most fonts contain only one or the other version of figures, but there are fonts that contain both. The following example, found in the German Wikipedia articles on titling and text figures, shows letters and figures in both upper and lower case from the font Linux Libertine. Those are called "medieval" "text" and few others or in polish "nautical" numbers. They are "designed" (because really the are not designed) to be similar to minuscule letters. So 6 would be different from b. 4 like g and so on. It all came from hand lettering and natural movement of hand when your hand always stay on the middle line level. It also had to do with different strokes. For example you started 6 in middle went right then after making circle you went for the upstroke. Now, because we use pencils and ballpoints we start from the upper part and finish in circle. Because we don't use dripping pens or brushes with ink. What's the best way to print a mostly black 8.5“ x 11” page? What's the best way to create custom grid lines in Photoshop? Can I reformat an old logo with a higher resolution? How to design a poster with so much written content in it? What's the difference between 72ppi and 300ppi? What's the best way to find the CMYK and RGB of a HTML color?